I remember looking into the bathroom mirror at the reality of my age, my depression and my despair. My youngest child was going off to college and I was in a panic as to what I wanted next in this scary new season of my life. I wasn’t sure I wanted to go there. I have encountered many women who felt this loss when they didn’t have a long To Do list dictating the day’s schedule. It may sound like fun for a few weeks but gets old pretty fast. What often happens is Mom tries desperately to continue her role and is on call for every need that arises with her grown children and if there isn’t anything pressing, continues to barge intoeveryone else’s backyard. Take control of YOU! You didn’t really get a pink slip. You will always be Mom. That role doesn’t get eliminated from your resume when your child turns 18. But your role will be different. Don’t try to hang on to what was. It will only frustrate you and your family. They, too, are trying to find their place in life and often your help becomes interference, a battle for control and/or enabling and dependence. This is a time for you. Taking care of YOU is important. Evaluate your physical and mental health and see how you can improve and be the best that you can be! Explore what you enjoy doing. If you have always enjoyed gardening, take a Master Gardener course through your County Extension office. I have many friends who have done this and I did it myself. Take an art class. Even if you think yourself uncreative, you may find you have hidden talent that has lain dormant all these years. I know I did. Finish that degree you have always wanted or get a job in a field you enjoy. Explore and see what vast opportunities you have. Evaluate your friendships. You may find, as I did, that you really don’t have many deep friendships because you didn’t have time to establish them. 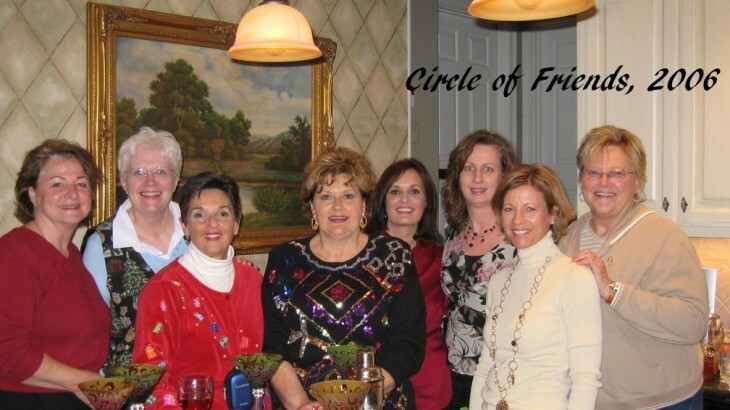 When I discovered I needed more women in my life, I called a friend and she and I started a Circle of Friends group that met monthly, laughed together, cried together and shared weddings, funerals and births. If you need to eliminate negative friends, this is a good time to search for ways to plug into new classes and organizations to meet new people who are excited about what they do. Volunteer. One of the best ways to eliminate that “poor me” feeling of low self-worth is to volunteer your time and energy to a worthy cause. Whether it is a large organization or a single family, helping others is a sure way to put into perspective your own issues and feel useful. I remember many years ago I visited the TN Prison for Women and heard stories that broke my heart. I cried for two weeks and knew God was telling me I needed to reach out. Many years later I am still mentoring a young ex-felon and her three children and helping them change life patterns; giving a hand up not a hand out. The gratification that results from knowing you have helped someone else better themselves is energizing and important in changing our world. Get help if needed. I know I sometimes needed an unbiased opinion and advice from someone other than family. If you are too proud to consult with a counselor or coach, you are missing a great opportunity to grow. Don’t even hesitate to get the help you need if you are feeling depressed or defeated. Keep learning and growing. If I ever stop learning, dig a grave and push me in. This is a time in my life when I can explore the world around me in ways I never dreamed of. And I can actually take a whole afternoon to read a good book if I want. The more I learn about myself and others, the more exciting my life becomes. This new season can be a great adventure or a frustration and disaster. It’s your choice. If you are a young mother and aren’t here yet, your day will come sooner than you think. Concentrate now on what you want the future to look like for your family. Much of how they navigate their world will be shaped by your own opinion of yourself and how you give them roots….and then give them wings.